The name's David, I just wanted to say hello to everyone, tell a little about myself and post links to my bike photos. 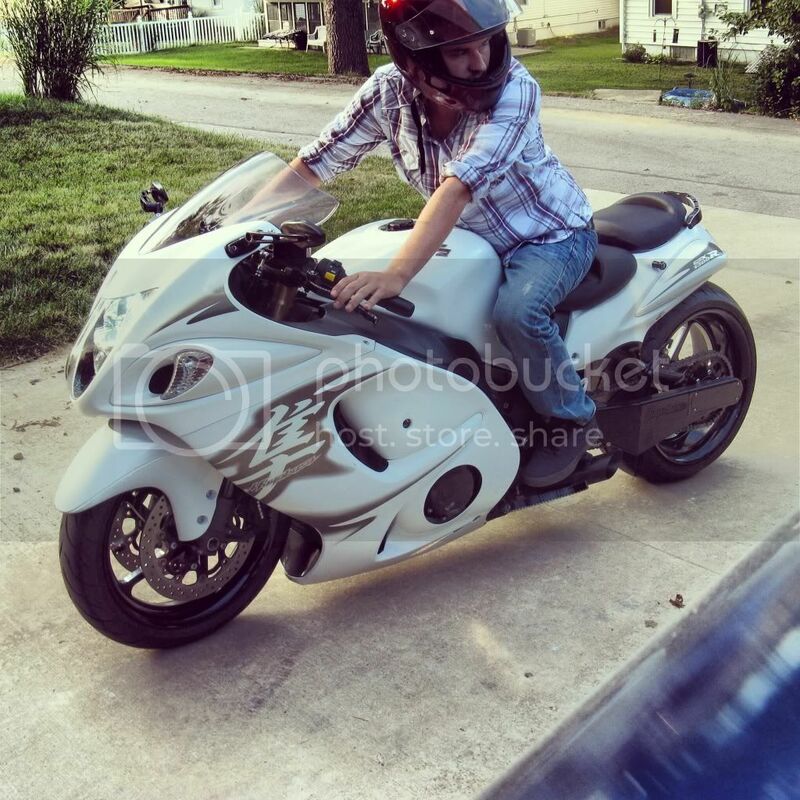 I started off on a Harley Heritage softail, then shortly after I bought my first Hayabusa (2006) once I got the Busa' I never rode the Harley again and ended up selling it shortly after. 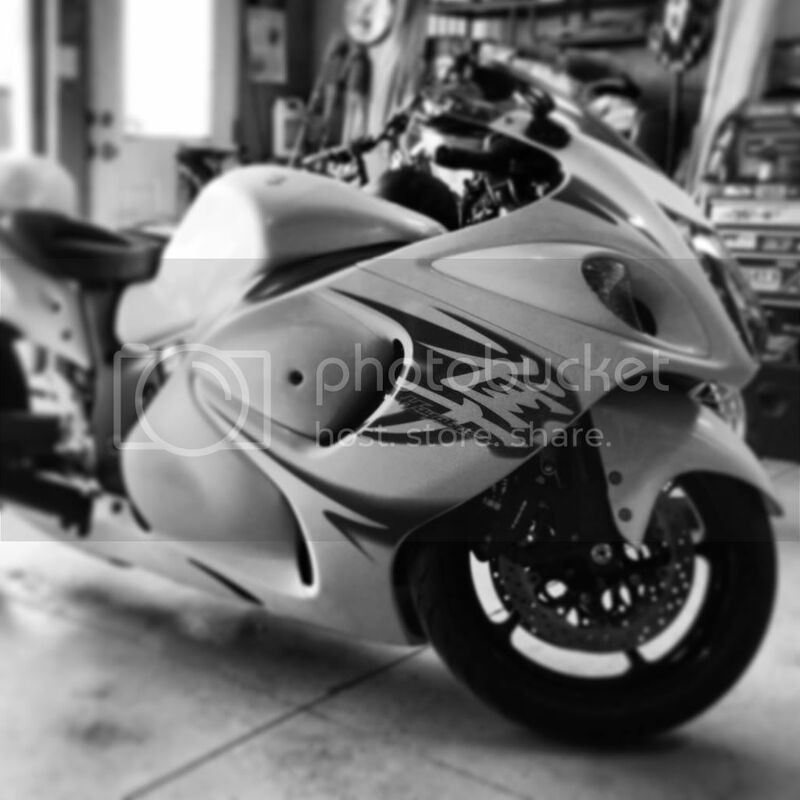 The first Busa' I owned was already pretty tricked out (240 chrome rc components wheels, chrome trac swingarm and a yoshi setup) I did however give it a paintjob after the bike fell over. lol. I ended up selling the 2006 and severely regretted it. 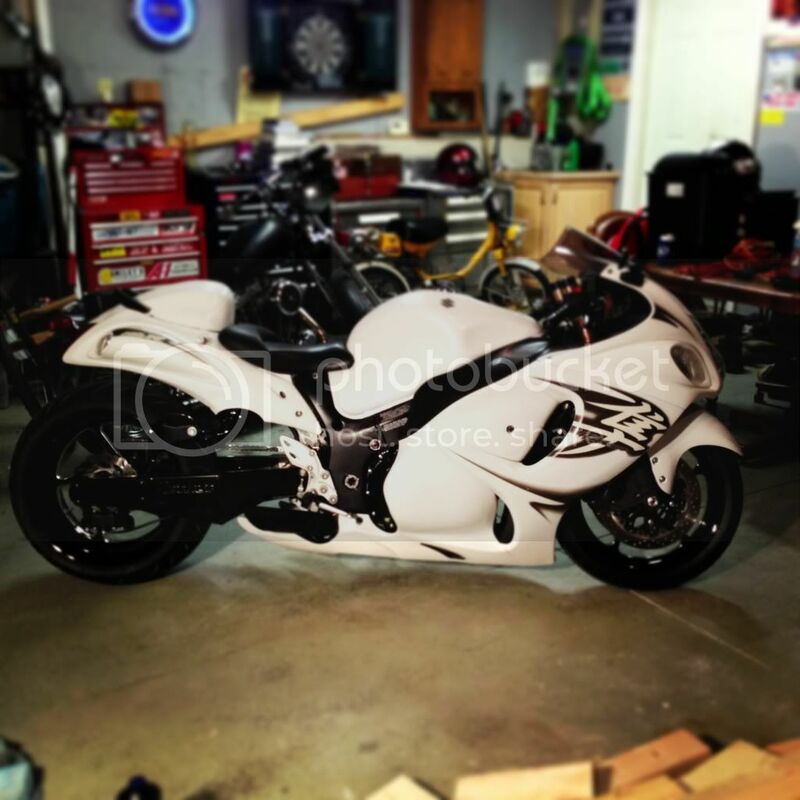 So 2 weeks ago I bought a 2009 pearl white Busa. It does have a few mods and aftermarket parts on it but it's not really my taste as of yet. I just ordered black contrast cut "track star" 240 wheels and 10" over black "stealth" swingarm setup from ATC which I am picking up Friday from their shop in TN. I redid the seats in black vinyl myself and will be painting the bike blue to match my ford f150. welcome...thats an 2009? was the body work changed to 2011? looks great...best of luck..
it's at 8" over now with stock wheel I plan on running the new 240 40 18 at about 8" also. The difference in diameter of the tires is about 1/2", meaning the tire will sit 1/4" closer to the tail and the bike will sit 1/4" higher off the ground... Is there something I'm not taking into consideration? The bodies are different from 09-11? bodys are the same but colors and decals are different each year...your body work paint looks like 2011..
yeah I'm positive the bike fell over before, maybe that's why the previous owner re-painted and changed the graphics.